I took advantage of the rare hours of January sunlight yesterday to take a stroll over to Globetown. You walk east from Museum Gardens in Bethnal Green through Sugar Loaf Walk and immediately recognise you have entered a different neighbourhood, where an atmosphere of domestic quietude prevails in distinct contrast to the clamour you encountered at the junction of Bethnal Green Rd and Cambridge Heath Rd. Cats prowl the empty streets while the residents are either snug in their homes or enjoying a long afternoon in The Camel or The Florists’ Arms. 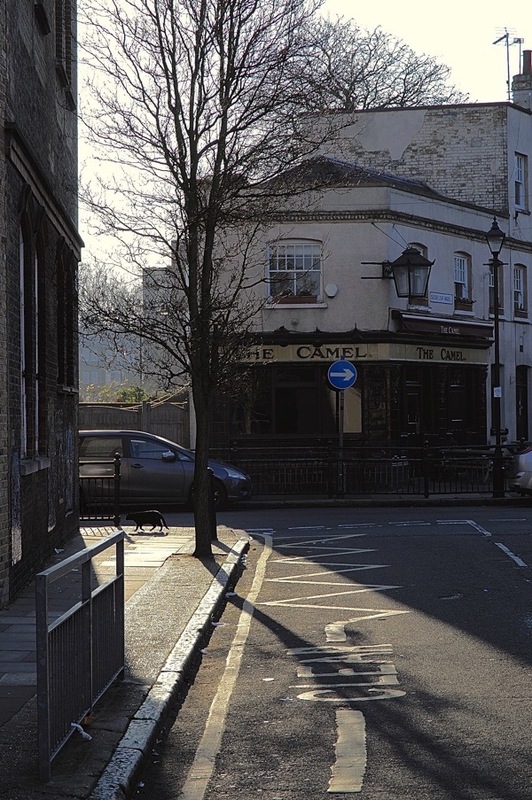 This former marshland bisected by Globe Lane – now Globe Rd – takes its name from a old tavern that once stood here. 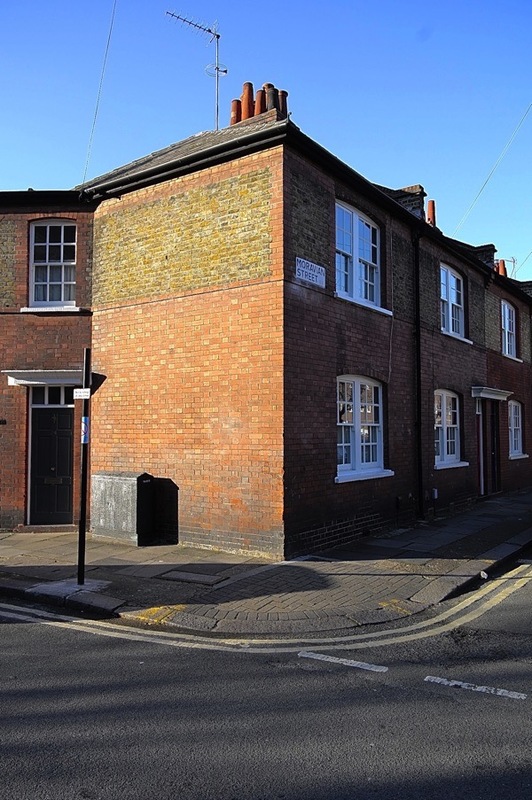 The area was built up in the early nineteenth century by exploitative developers, throwing up poor quality homes for weavers on low incomes. 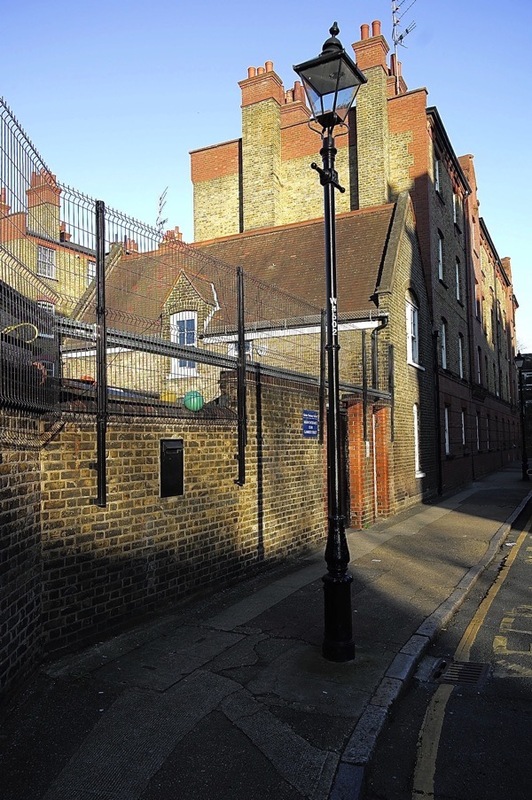 Before long, commentators were comparing the notorious Globetown slum with Saffron Hill and St Giles High St. Consequently, most of the good quality nineteenth century building that remains today was constructed as social housing to alleviate the legacy of this poor development. 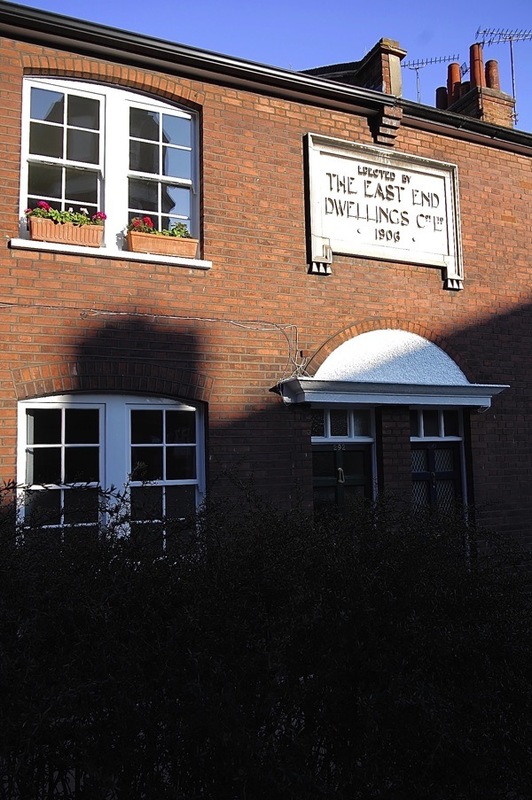 In Globe Rd, the first structure that you come upon is the handsome red brick Merceron Houses constructed by East End Dwellings Company in 1901. 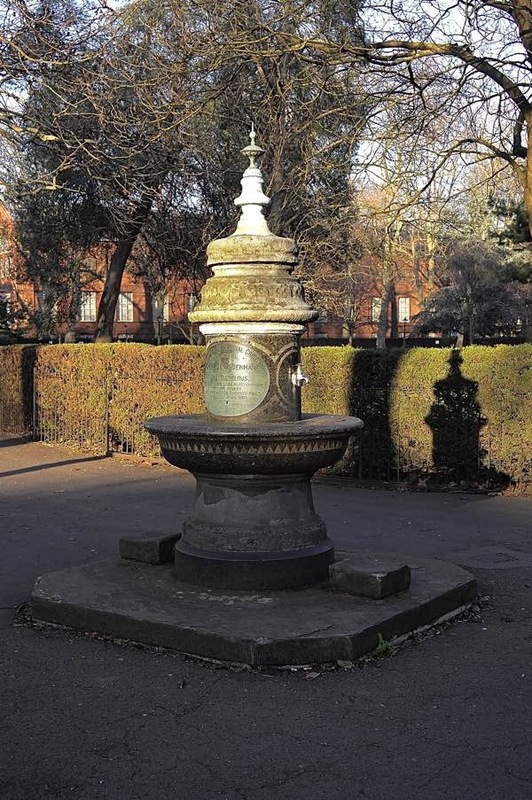 It was built upon the garden of Joseph Merceron, the most reprehensible eighteenth century resident of Bethnal Green, whose notoriety had faded by the end of the nineteenth century. Across the road is a modest sequence of terraces of workers’ cottages in the Arts & Crafts style from 1906 and, directly to the south, towers the handsome Board School with Mendip House and Shepton House beyond. All these buildings were the work of East End Dwellings Company and together they form a sympathetic complex of streets on a human scale, with The Camel adorned with its attractive Art Nouveau tiles at the centre. 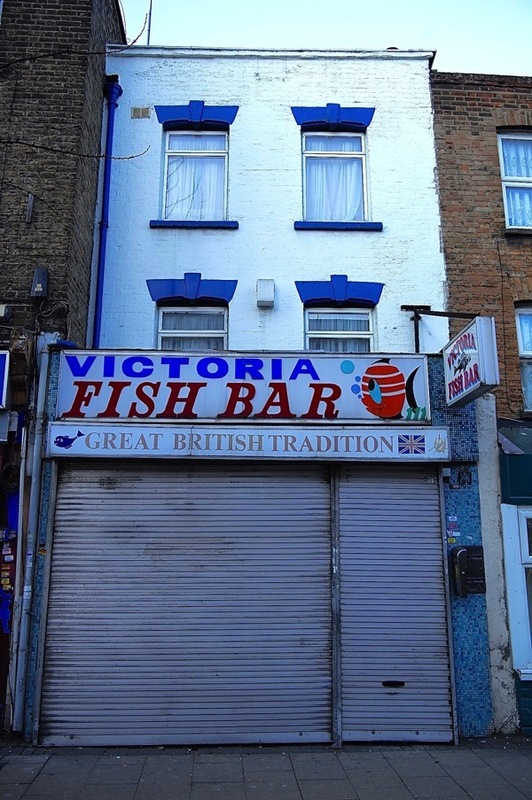 Walking south and turning east into the Roman Rd, I was dismayed to discover the beloved Victoria Fish Bar has closed forever. After a lifetime of service behind the fryer, the proprietors have finally retired. On Sunday, Globetown Market Sq was empty but on weekdays this is a popular destination with stalls of keenly-priced fresh produce and the East End’s best wet fish barrow run by Del Downey, third generation fishmonger in this location. I walked north up Bonner St and turned west again at the former Bishop Bonner pub into Cyprus St, built in a distinctly aspiration style as ‘Wellington St’ in 1850, still remembered in the name of the former Duke of Wellington pub. 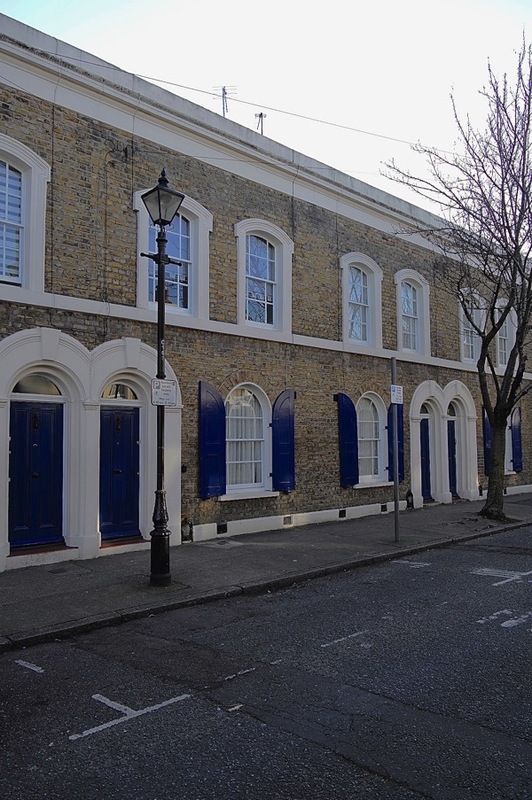 This is an astonishing and handsome example of an unaltered mid-nineteenth century streetscape. 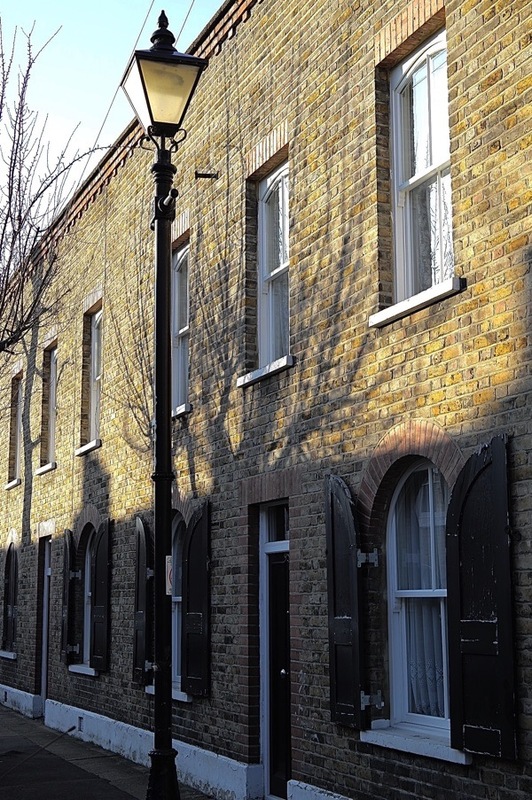 These distinguished nineteenth century survivals are surrounded by twentieth century housing of greater and lesser quality, evidencing the continuing struggle to overcome the grim legacy of exploitative development – both historical and recent – and give everyone in the East End a decent home. I love the reflection of the sunlight in the photos! 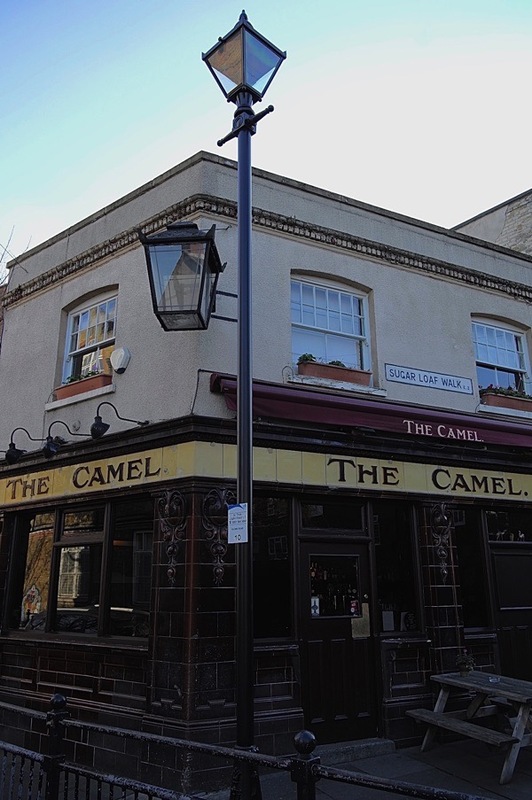 Does The Camel in Globe Rd still do amazing pies? Lovely photographs. Low winter sunlight is so luscious. I wish I had been on that walk. The area where I was born and grew up. I moved away in 1973 but whenever I go back and wander around it still feels like home. I was an ignorant schoolboy in the area, 1944-1949 (at Parmiter’s), and worked for the London Hospital Medical College, 1953-1956, but sadly never had free time or appreciation enough to wander around, and missed seeing that the locality contained such admirable buildings as appear in these photographs and others (e.g. 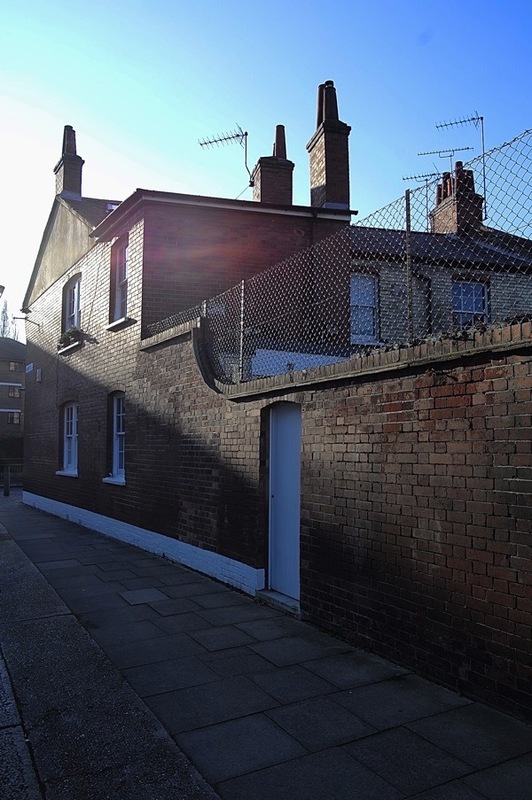 of old Stepney) on this most excellent, eye-opening website. Similarly, I missed seeing my grandparents’ former home at 16 Jubilee St. while it was still standing. How amazingly clean everywhere looks, a real credit to the local authority, whoever they are, and not a high rise building to be seen, what a treat. GA, what a lovely mid-winter stroll you took in Globetown. These properties are so well preserved. 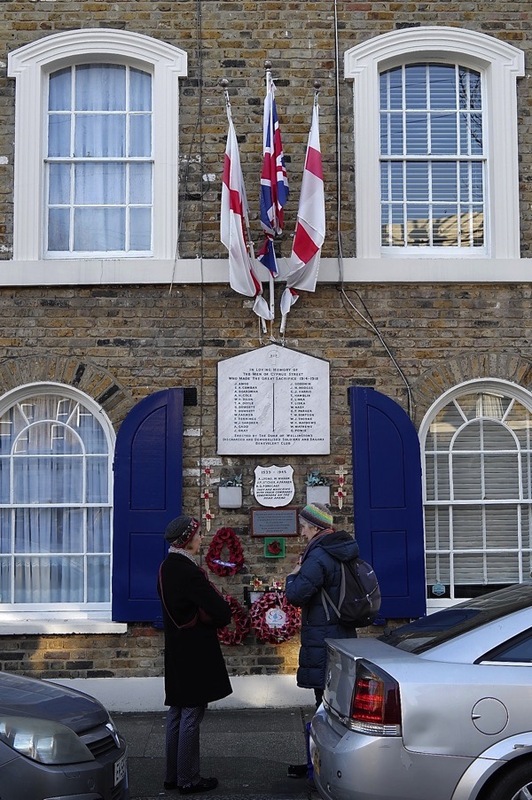 I was particularly impressed with the façade of THE CAMEL and the well-tended memorial to the “former residents of Cyrpus St who died in war” from Bethal Green. I can definitely feel a Doreen Fletcher influence in your photos! Great stuff..
What an excellent set of photographs. I’d like to think that our paths may have crossed as you set out on your walk. We took our children to Spitalfields for the weekend and had a wonderful time from Friday afternoon through to Sunday evening when we had to make the long journey back to Cumbria but not before they’d made their third visit to the beigel shop. 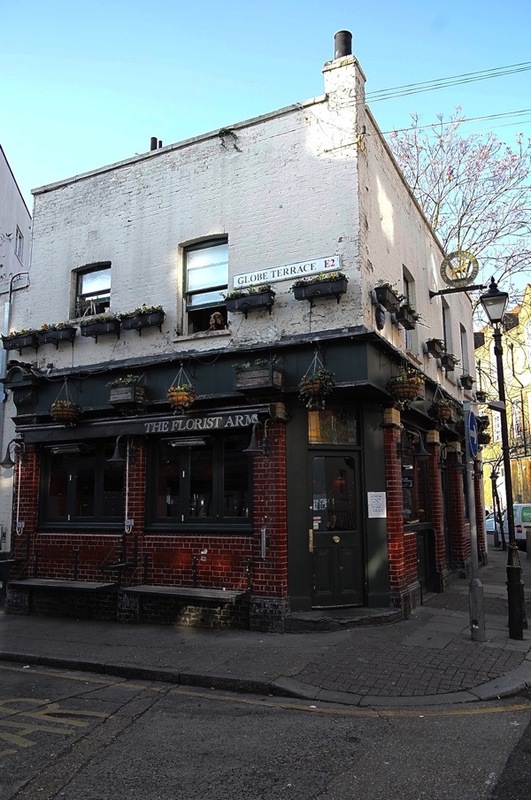 The reason for our visit (I’ve been many times, but first for the kids) was to show them a bit of their long-ago heritage: The ‘Golden Harp’ on the northern side of the market and the site of the Hope Tavern in Hoxton – all kept long ago by ‘Homewoods’ who combined brewing with silk-weaving. We also looked for Vine Court off Whitechapel Road where a Homewood once retired and we looked at St Dunstan’s in Stepney where Homewoods once were married. 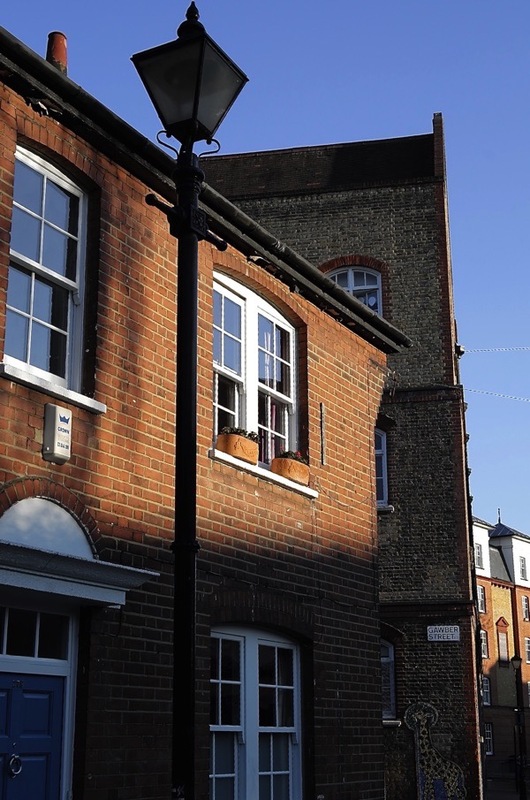 Bright, low winter sunshine is great for photography and you have made the most of it. As always your tours of the streets of the ‘old’ East End reveal interesting places previously unknown to me. 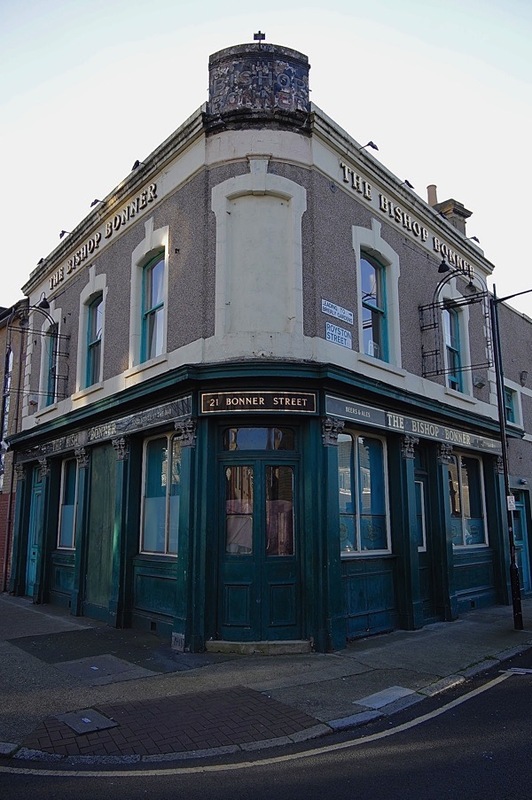 And it’s good to see my grandad’s old pub, the Bishop Bonner, is still standing. Great pictures, especially in that light. Later when I was old enough, the Camel and the Florists were regular haunts. The blocks of flats there must have been solid as they survived bombing in the war. The area was special as it seemed so different from the image of the East End that people had. There was tree-lined Approach road, with my school, and the Approach Tavern (still going) and then the Chest Hospital and the entrance to Victoria Park. Really, an oasis from the hustle outside. Those streets and scenes were a familiar ‘cut through’ for me as I made regular trips to the Bethnal Green Museum of Childhood from the other side of Victoria Park. Emerging from Bonner Gate and then along Bonner Road under the canopy of plane trees ……. almost mirroring your stroll in reverse. My happiness was complete when I arrived at the Museum with it’s terracotta walls and those fascinating (for an East End kid) friezes. I really was in another place…….. This area was unknown to me, and I look forward to walking around there someday, hopefully with a friend for whom it will also be new. 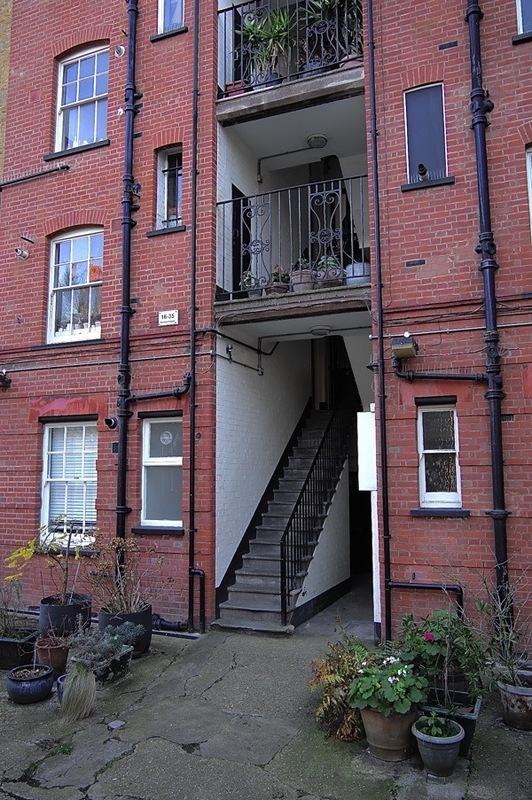 A question which arises for me is to wonder if what was originally significant(and beautiful) social housing remains such, or has it, like so much else, been lost to private ownership?